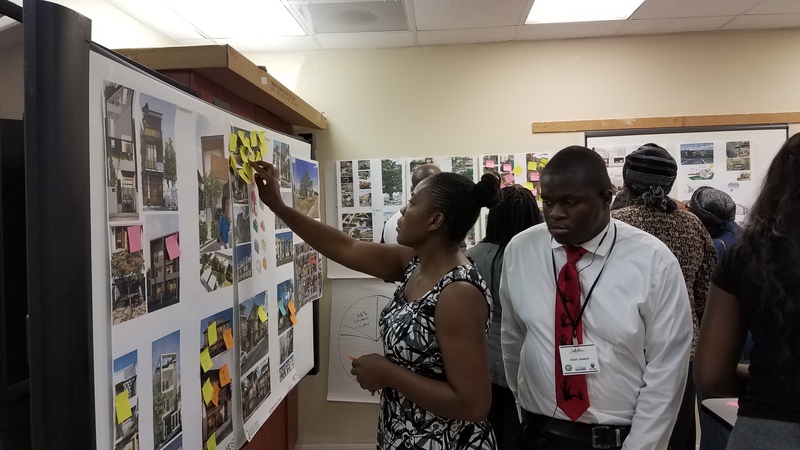 Residents Help Create Vision for First Community Land Trust Homes in Little Haiti. Project Seeks to Stem the Tide of Cultural and Socio-Economic Gentrification. 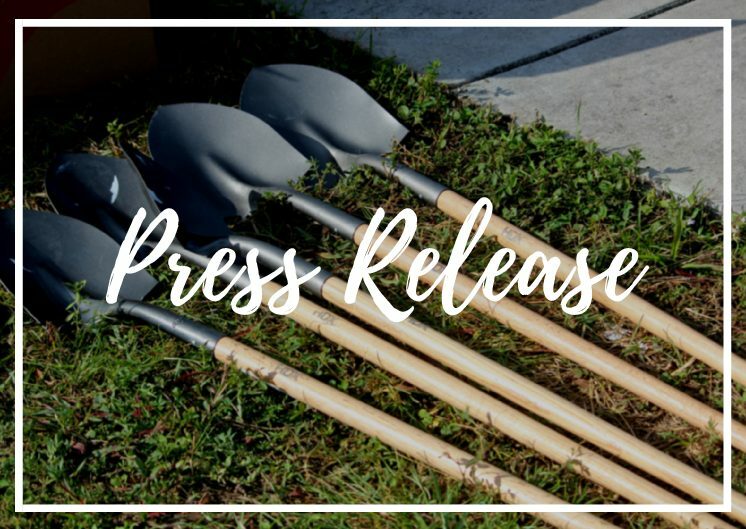 South Florida Community Land Trust And Haitian American Community Development Corporation Partner to Create First Community Land Trust Development in Little Haiti, Engage Local Residents in Project Design and Vision. Miami, FL (November 29, 2018) — On a late Wednesday November evening, when most would be home relaxing from a long day at work, a room full of enthusiastic, fully engaged residents of Little Haiti were buzzing around the Haitian American Community Development Corporation’s (HACDC) Community Training Room – helping to create a collective vision for their dream home and what will be Little Haiti’s first Community Land Trust (CLT) homeownership development. The South Florida Community Land Trust (SFCLT), which purchased the site earlier this year on NE Miami Place near Grace United Methodist Church in the heart of the Little Haiti community, hopes to turn the vacant site into a 13-unit homeownership development. 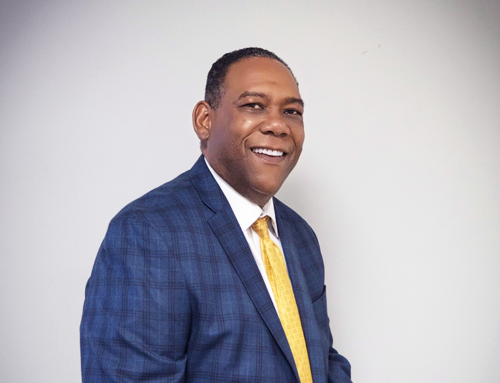 The goal is to serve local residents who would otherwise be priced out of the homeownership market and possibly displaced from the neighborhood due to escalating rents. Working in partnership with HACDC’s First Time Homebuyers Program, participants, many of whom have expressed a healthy curiosity about this new opportunity, gathered over a feast of pizza and wings with members of SFCLT’s staff and architectural team, Mc+G Architecture and Planning, a local firm based in Little Haiti, to participate in a project design charrette. 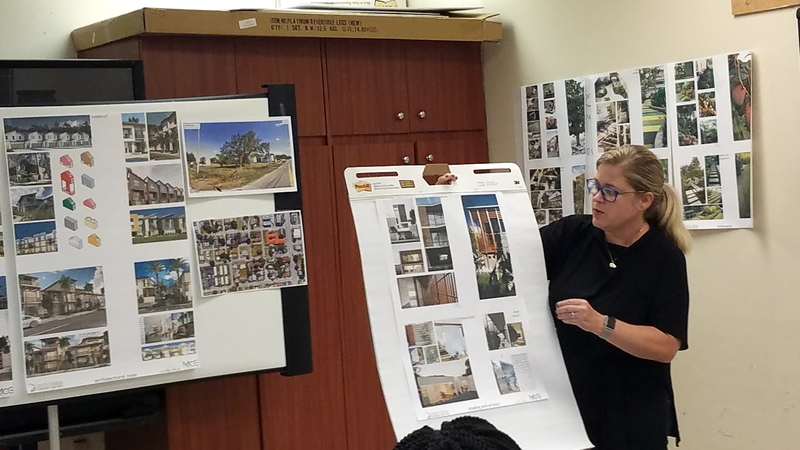 Led by the firm’s principal architect, Jennifer McConney-Gayoso, participants were introduced to a series of visioning boards that captured different architectural themes, styles, and elements. The walls of the Conference Room were lined with images of different building elevations, kitchen designs, railings and shading elements, and prospective landscaping treatments. 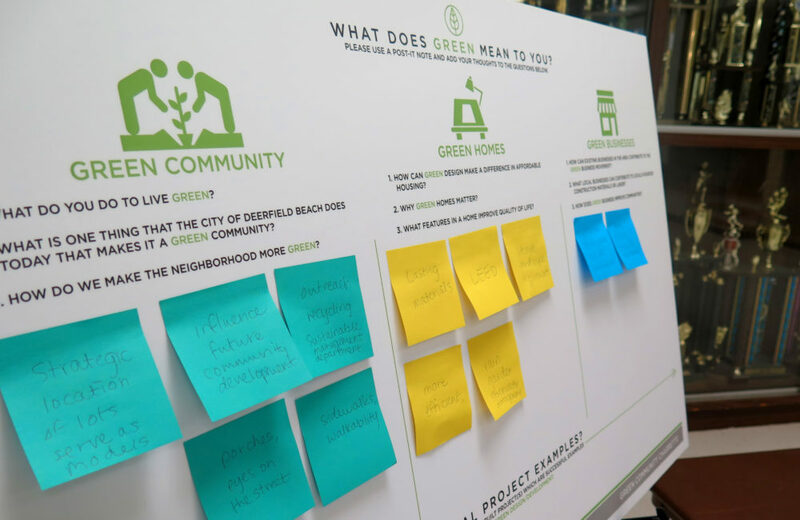 Prospective homebuyers were given color-coded sticky-notes and asked to move around the room and identify those images that most resonated with them. The room was ringing with an exchange of ideas, personal preferences, and parallels to first-hand life experiences in Haiti. 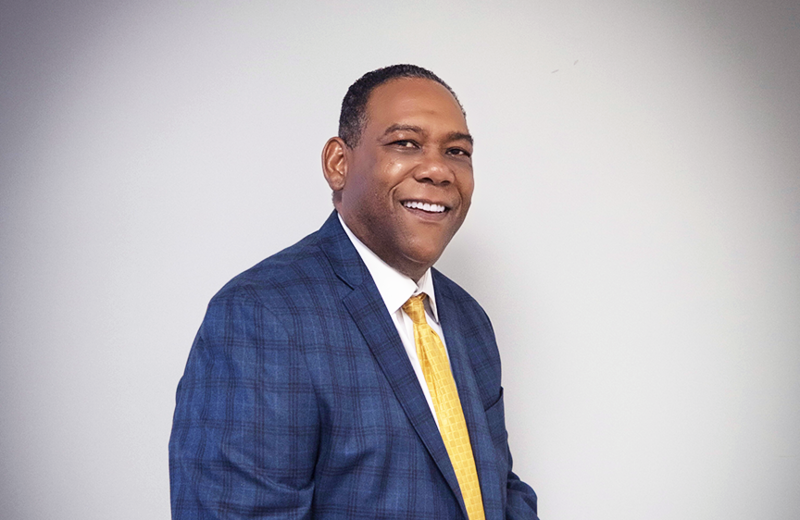 “By the end of the evening, the direct feedback provided by prospective homebuyers proved invaluable”, stated Charles Dabney, SFCLT’s Miami Market Manager. “We now have a much clearer vision of what matters the most to our prospective clients in terms of design and use of space. This will help to give our architect the perfect starting point”, stated Dabney. 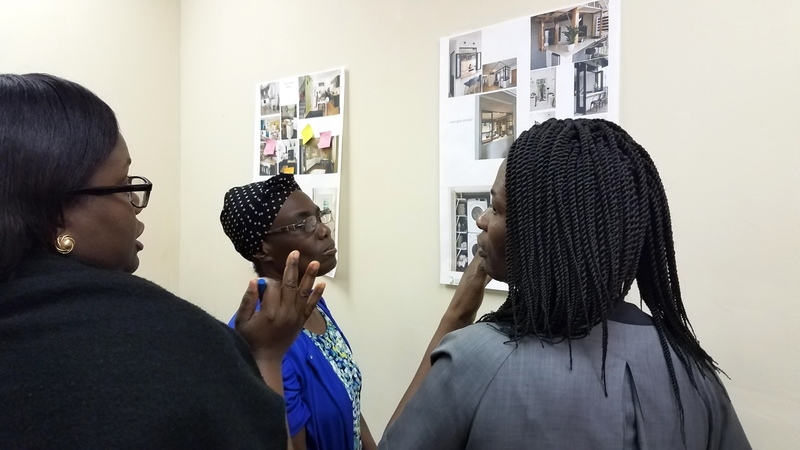 The design charrette, held on Wednesday, November 14, 2018, actually represents the team’s second engagement with local residents regarding the proposed 13-unit project. 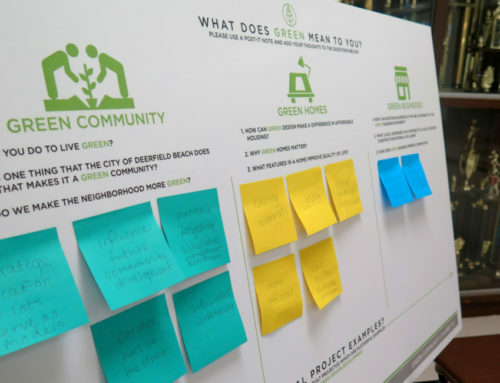 On October 23, 2018, SFCLT and HACDC co-hosted an initial event as part of The Miami Foundation’s My Miami Story, during which time SFCLT and HACDC shared significant project details with locals. 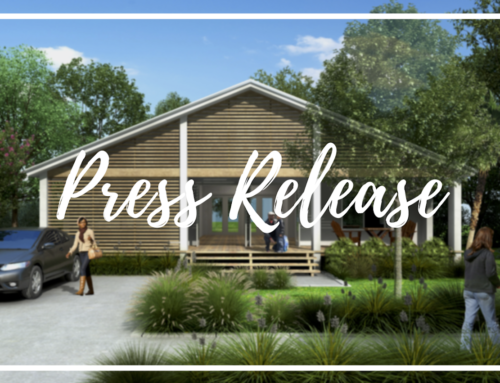 These future homes would not be possible without funding from the South Florida CLT Accelerator Fund, an equity source that allows the organization to compete in South Florida’s high-cost, cash-driven market by providing a source of cash to acquire property and complete pre-development. Launched last year, with founding corporate support from Citi Community Development and additional contributions from Enterprise Community Partners, Health Foundation of South Florida and IBERIABANK, South Florida CLT seeks to leverage the Fund to accelerate the launch of CLTs in Miami-Dade County and expand its impact in Broward County. Special thanks to Enterprise Community Partners for sponsoring the neighborhood meeting. For more information on South Florida Community Land Trust, go to www.southfloridaclt.org. South Florida Community Land Trust is a non-profit corporation that protects land to keep housing affordable forever. 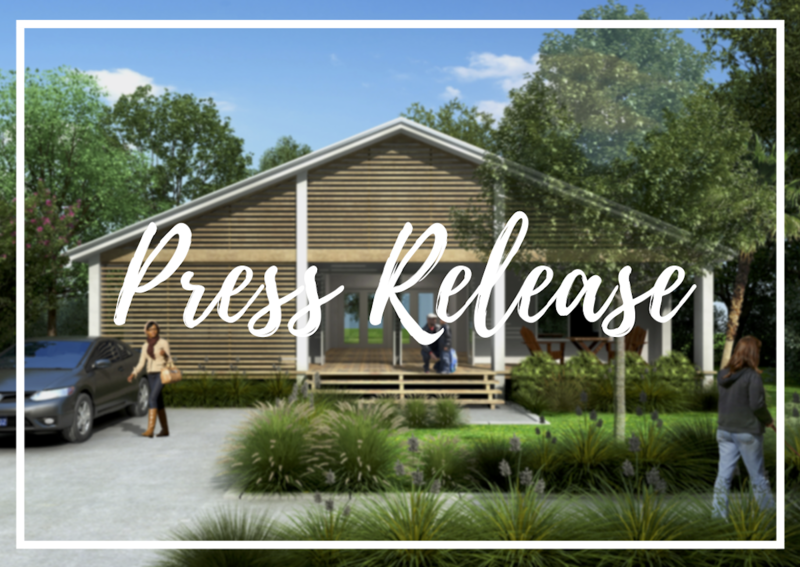 With a mission “to provide and preserve quality, sustainable, affordable housing for underserved populations in South Florida,” the group is committed to ensuring that individuals and families can afford housing without compromising on quality or location. Information about South Florida Community Land Trust is available at www.southfloridaclt.org. Follow South Florida CLT on Twitter @Southfloridaclt and Facebook. Since it was incorporated in 1987 by Little Haiti stakeholders as Little Haiti Housing Association, Inc. the key programmatic focus of the Haitian American Community Development Corporation (HACDC), as a non-profit organization, has been to provide affordable housing services to members of the Little Haiti community and by extension members of the Haitian-American community of Miami-Dade County. 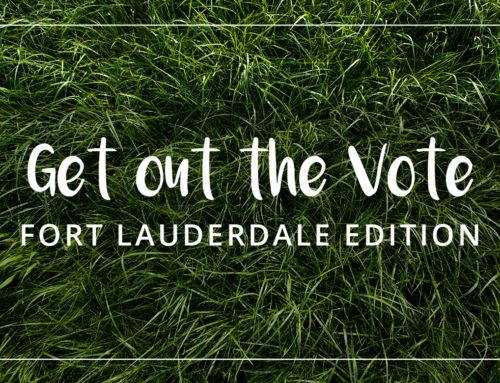 February 28th, 2018 | Comments Off on Hey Fort Lauderdale, GOTV! 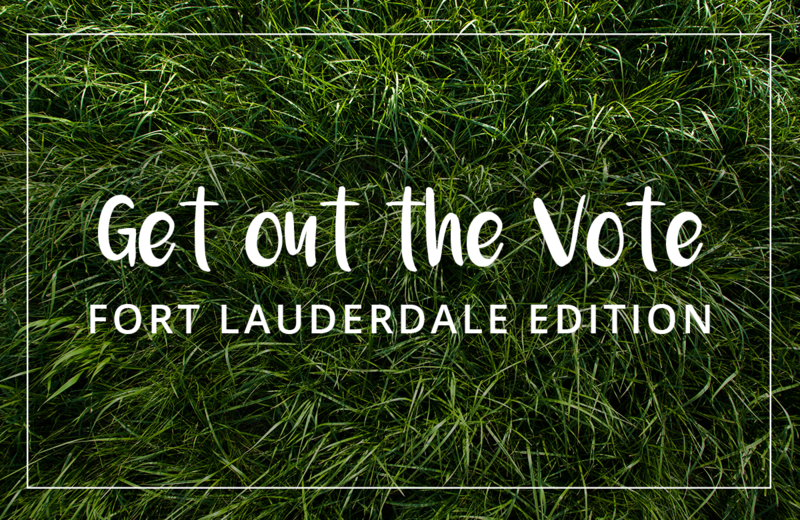 © Copyright 2019 South Florida Community Land Trust, All RIghts Reserved. 690 NE 13th Street Suite 105 • Fort Lauderdale, FL 33304 / Design by eLuminate Marketing.